1st International Tattoo Convention in Copenhagen, Denmark. We have so far had 4 editions of 50 Shades Of Ink in Helsingborg, Sweden. 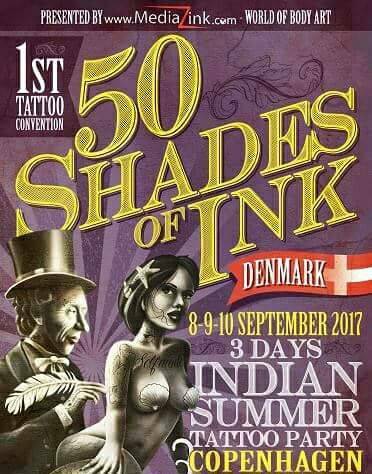 50 Shades Of Ink Copenhagen will hold 70 international high quality tattooers, traders and performers. The team behind it has more than 10 events on the portfolio. Lately the Helsingborg edition was a huge success. Simon Elmkies won the Best of Show Tattoo at 50 Shades Of Ink Copenhagen 2017.